Extraordinary Custom built Villa at the water’s edge of Lake Tapps. This is where water and home converge for breathtaking effect. Basking in light, this 6 bdrm 6 bath 5900+ sf retreat offers idyllic design and extraordinary scale of amenities. Little compares to the Chef’s kitchen~Custom cabinetry~60' Wolf range~Miele accessories~Dual refrigerators~5 Star Master w/FP~Sitting area~Coffee Bar~Steam Shower~4 car garage w/full apt above~8' Nanawall to full outdoor living. No detail to be desired. Lot Size: 0.5 Acres / 21840 Sq. Ft. Directions:Lake Tapps Pkwy to Sumner Tapps Pkwy. L onto 16th St E, right onto 180th, R onto 186th. Home is toward the end on the right. SchoolsClick map icons below to view information for schools near 2208 186th Ave E Lake Tapps, WA 98391. Lake Tapps Real Estate at 2208 186th Ave E Lake Tapps, WA 98391. Description: The real estate listing at 2208 186th Ave E Lake Tapps, WA 98391 with the MLS# 1378488 has been on the Lake Tapps market for 183 days. This property located in the Lake Tapps subdivision is currently listed for $1,750,000. 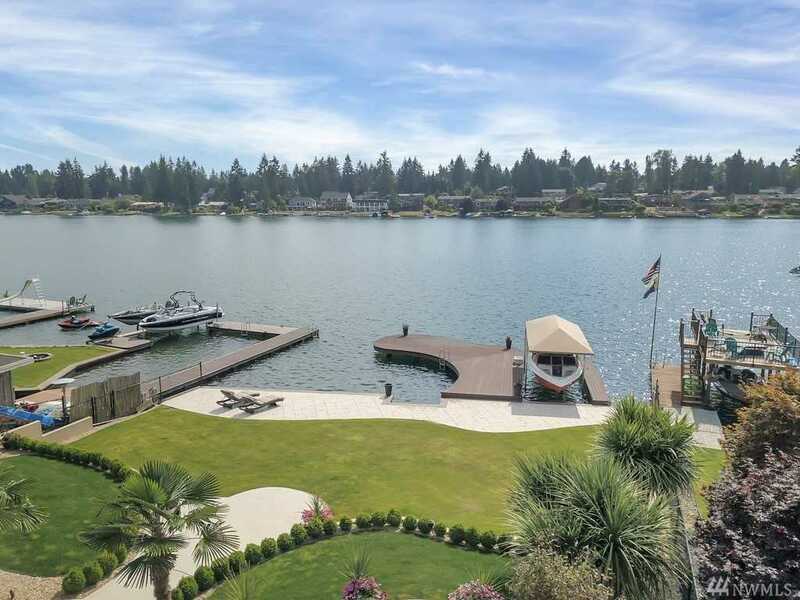 You are currently viewing the property details of the NWMLS listing at 2208 186th Ave E Lake Tapps, WA 98391, which features 6 bedrooms and 6 bathrooms, and has approximately 5963 sq.ft. of living area.